You know how for some people, they get the tingles when they get a glimpse of the Disney Castle upon entering Disneyland? I share the same sentiments – only in my case, it happens when I get a glimpse of the Universal Studios globe at every park entrance with the surrounding fountain adding to its magic. So imagine my excitement when I was finally headed to Orlando for the very first time, to see the mother of all amusement park cities! 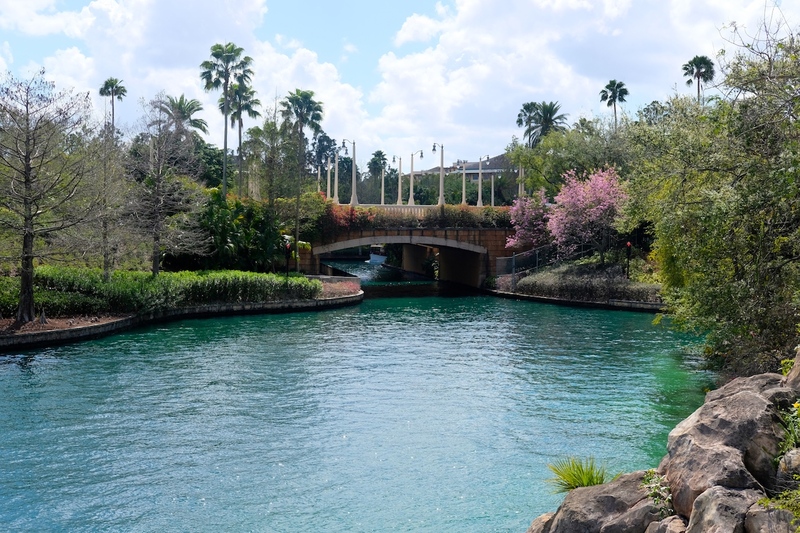 First, let’s start off with the fact that we only had one day in the city, as we were there via Royal Caribbean on a cruise to the Bahamas, which meant we only had time for one park. The first option was choosing between Universal or Disney. As I said, this is the mother of all amusement park cities, so just choosing between these two meant having a total of six park options! I swear one day, I’ll be back to enjoy all that Orlando has to offer – the next time, we’ll surely stay for a longer period. In my case, the choice between Universal and Disney was an easy one, as I’ve always been a tad bit more excited for the former; it was when we had to choose between two of Universal’s parks that posed a challenge. There is an option to get the 2-park ticket, which we considered for a while; but that meant having to pay an extra US$60 per person. After realizing that a couple of hours wouldn’t even be enough for one park, it would be a (pricey) waste to splurge on two; so then, I finally had to make a decision as to what park we were going to visit. 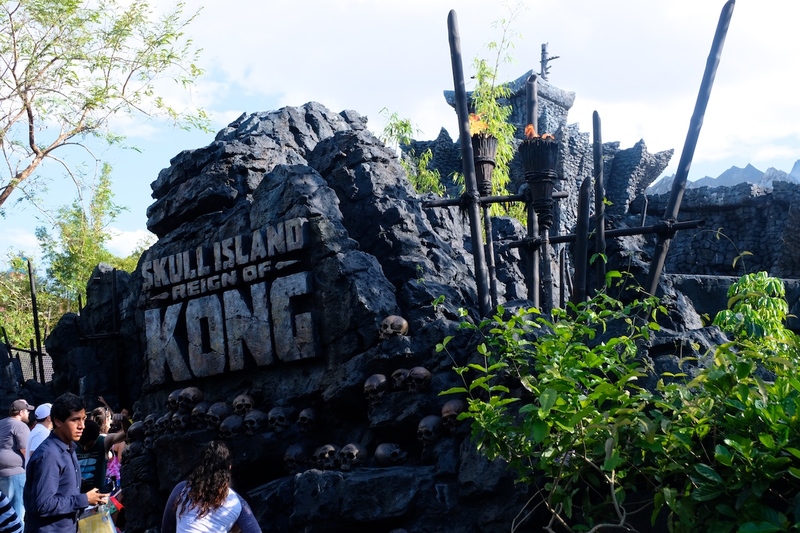 The main difference often noted when comparing Universal Studios with Islands of Adventure is that the latter has more thrill rides. 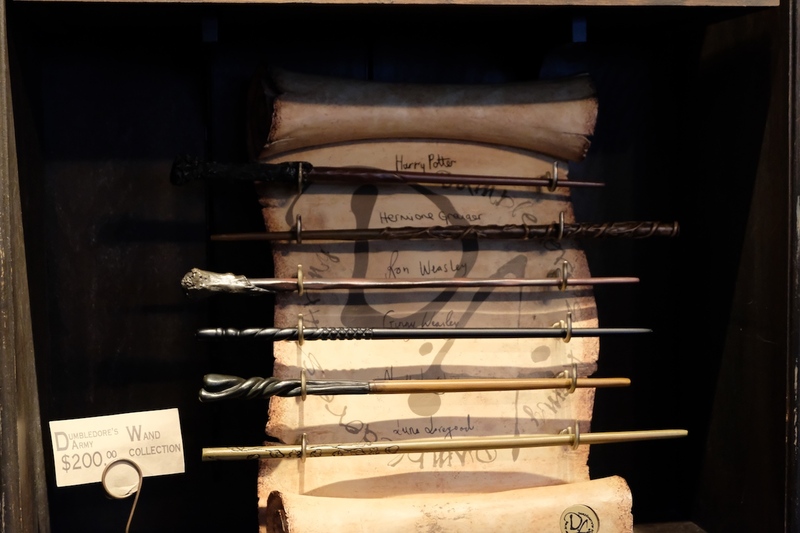 While US has a few of them, IOA has a lot more. 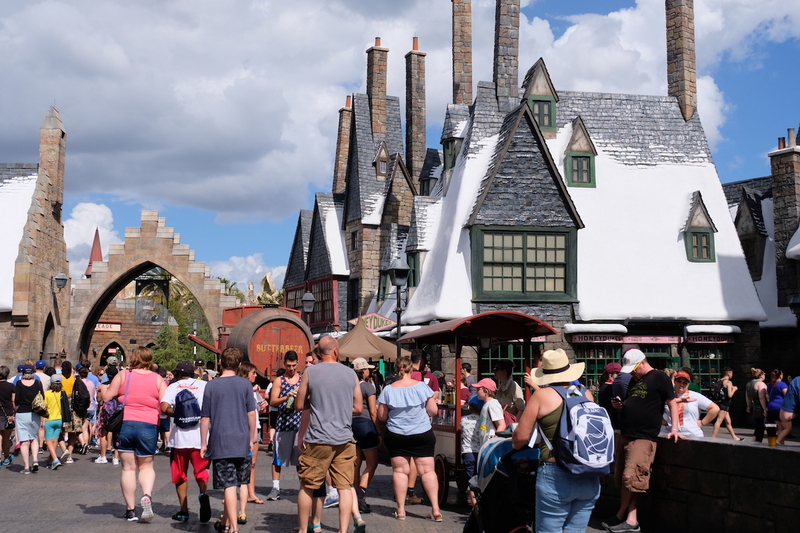 This made us lean towards IOA, but that meant having to miss out on some of US’s iconic attractions, namely: Men in Black Alien Attack, Revenge of the Mummy, Harry Potter and the Escape from Gringotts, and Diagon Alley. 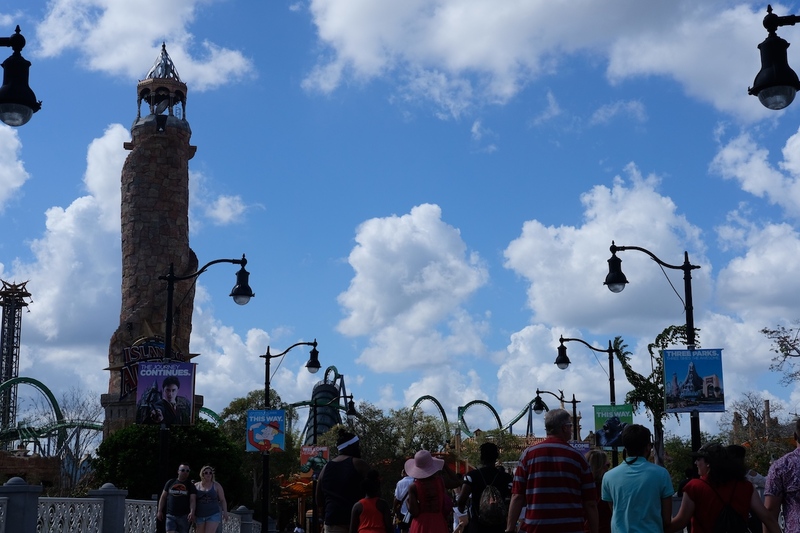 However, the rides and attractions in Islands of Adventure still weighed more in terms of interest from my point of view – with the fact that Jurassic Park, Marvel, and Hogwarts are in IOA being the deciding factor. 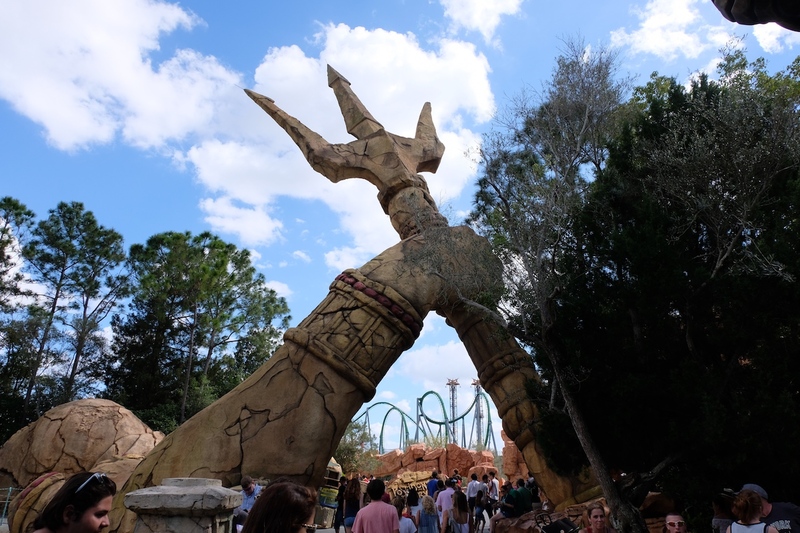 And that concludes how we drilled down our multitude of options to just one: Islands of Adventure in Universal Orlando. 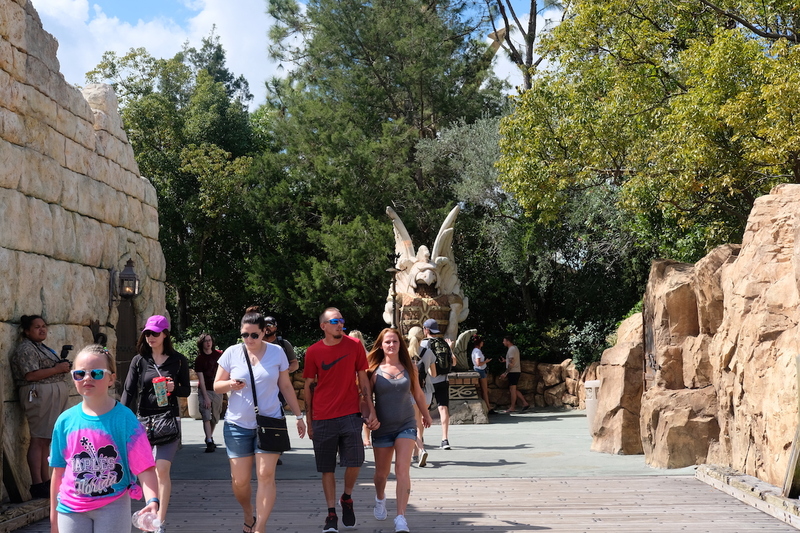 Details: It’s important to note that this excursion offered by RC only includes transfers to & from Universal Studios, and does not include the entrance to any of the parks, so you’ll have to book the park tickets separately, like we did. The Unlimited Express Pass – Is It Worth It? And before focusing on the park itself, let me tell you that in a nutshell: the Unlimited Express Pass is beyond worth its price. 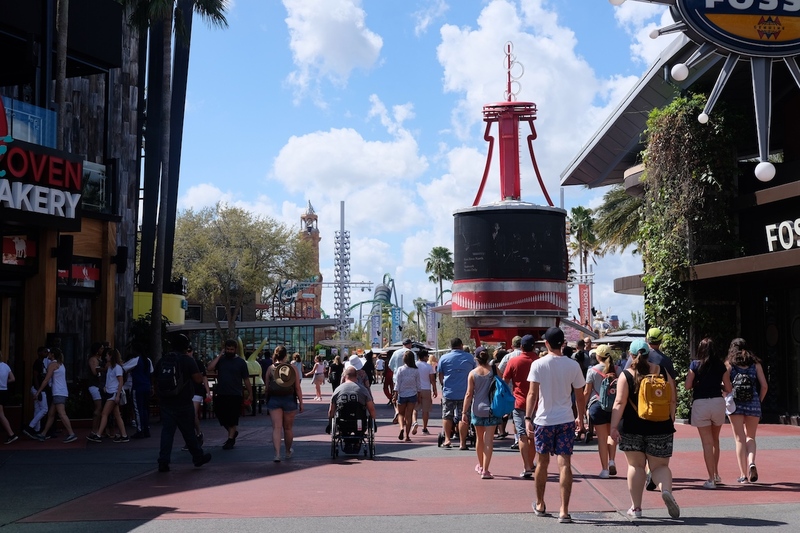 There is an option to get just the Express Pass, but that means you can only take the express lane once per ride; and we decided to get the unlimited option knowing how obsessed I can get when it comes to enjoying attractions time and time again. Eventually, we did some of the rides at least twice – taking advantage of this pass that somewhat makes you feel like a VIP. It is important to note, however, that despite being there on the last Sunday of February this year – 25 February 2018, to be exact – a day that was said to have a medium-sized crowd, some attractions still had waiting times for more than an hour and some, even an hour and thirty! So imagine how worse it would have been during busier seasons without the express pass! That aside, if you’re thinking twice about getting this Unlimited Express Pass, don’t, and simply go for it. Even if there are quite a number of people who purchase the said pass, the waiting time for the express line goes a lot faster than the regular lines, ensuring we got to make the most out of the park despite being there for only six hours. 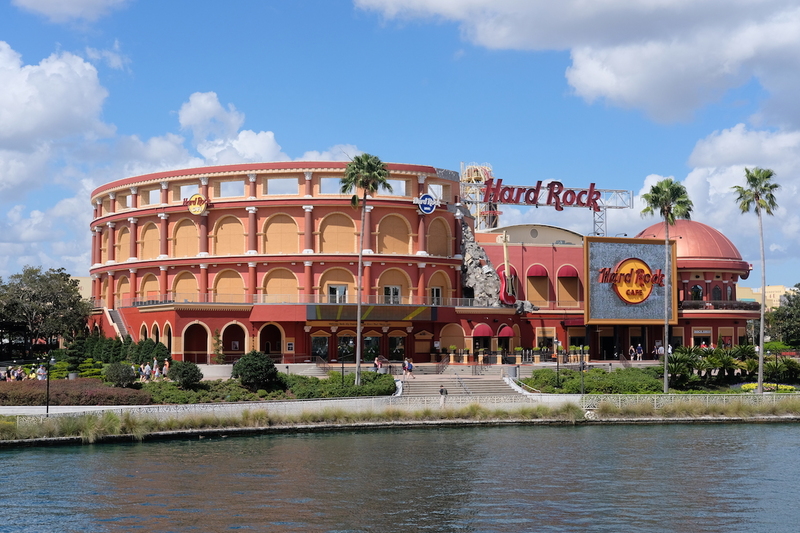 Now, onto the park – the transfer provided by Royal Caribbean drops you off at the Universal Bus & Taxi Parking – a ten to fifteen minute walk away from the entrance of both Universal Studios and Islands of Adventure. 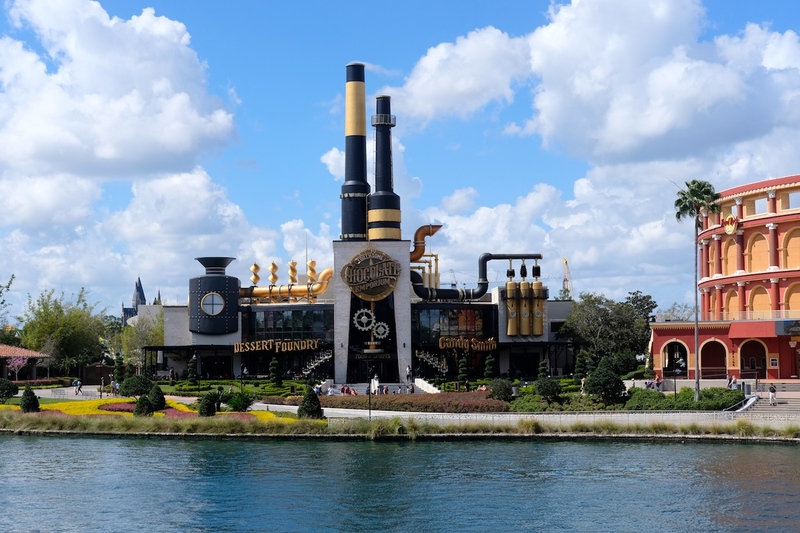 From the Universal Bus & Taxi Parking, you head up the escalator and go through security, then go past the walkalator / walkway that leads you to the City Walk – the retail & dining wonderland of Universal. 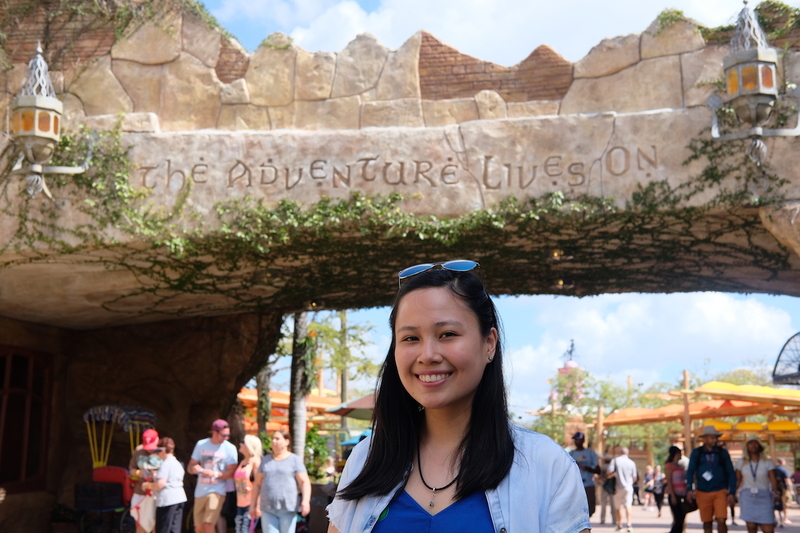 How I wished we had more time to spend around this area, but we opted to go straight to the entrance of Islands of Adventure, located on the left side at the end of City Walk. On the right side, you’ll see the Universal Studios entrance with the Universal globe fronting it. Upon purchasing the tickets online, an email was sent to me, and this was what we had to present together with the credit card I used to make the booking and my ID. 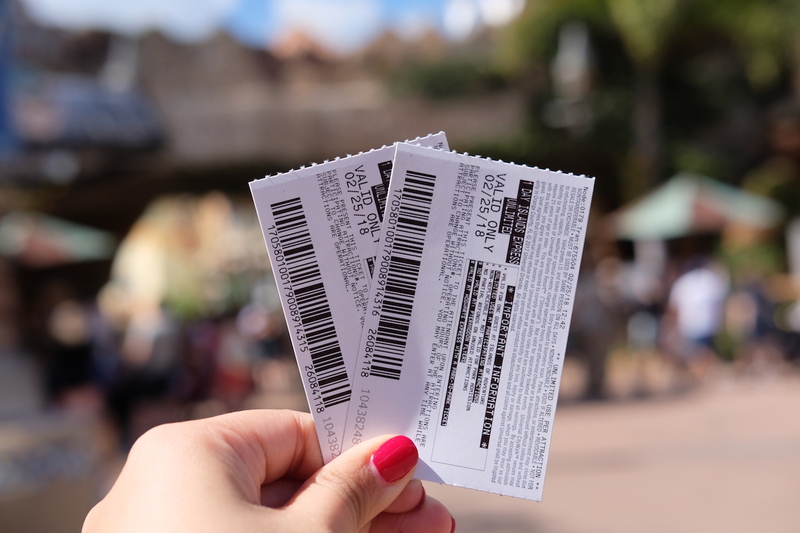 As simple as that, we got our IOA Park Tickets and Unlimited Express Passes. …and so, the adventure begins! Let me note early on that I’ll be covering the park per themed area, and the rides and attractions by which we tried that you shouldn’t think twice about falling-in line for. 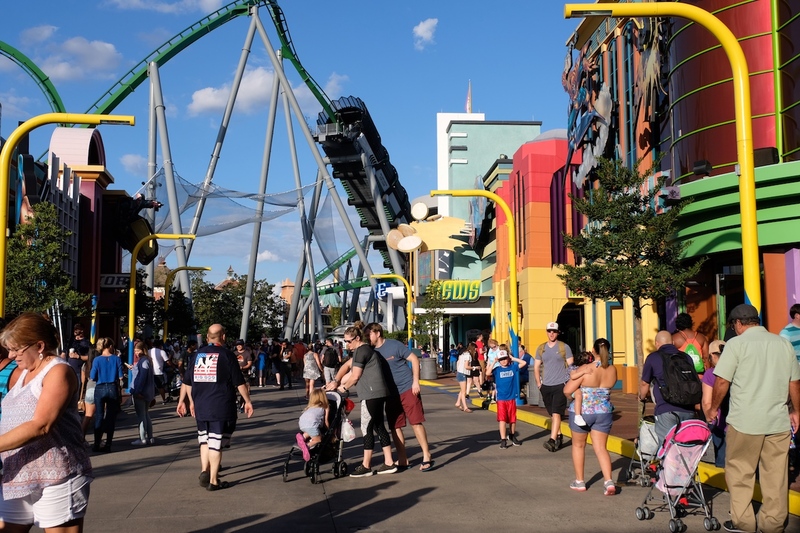 Upon entering Islands of Adventure, you either go to the left side to begin with Marvel Super Hero Island or onto the right to proceed to Seuss Landing. 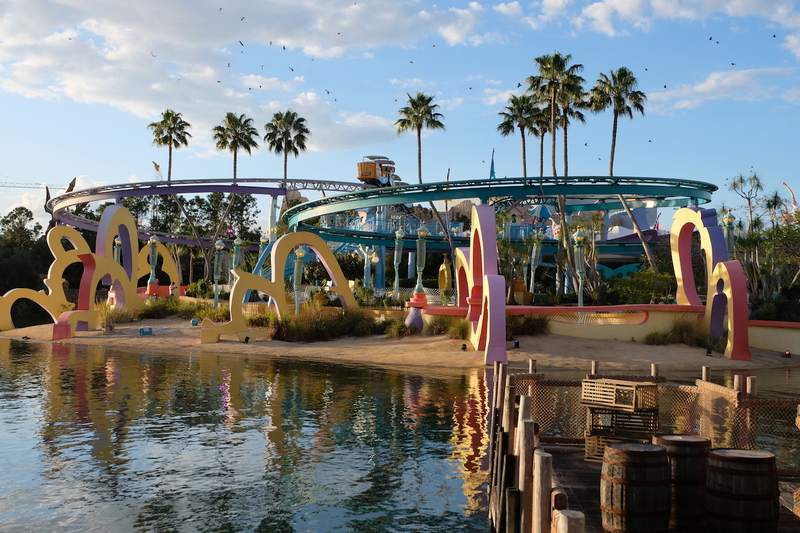 We started with Seuss Landing, but decided to bypass the rides therein for now, and go back later in the day – so more on Seuss Landing later. As we exited Seuss Landing, we immediately proceeded to the next section of the park. 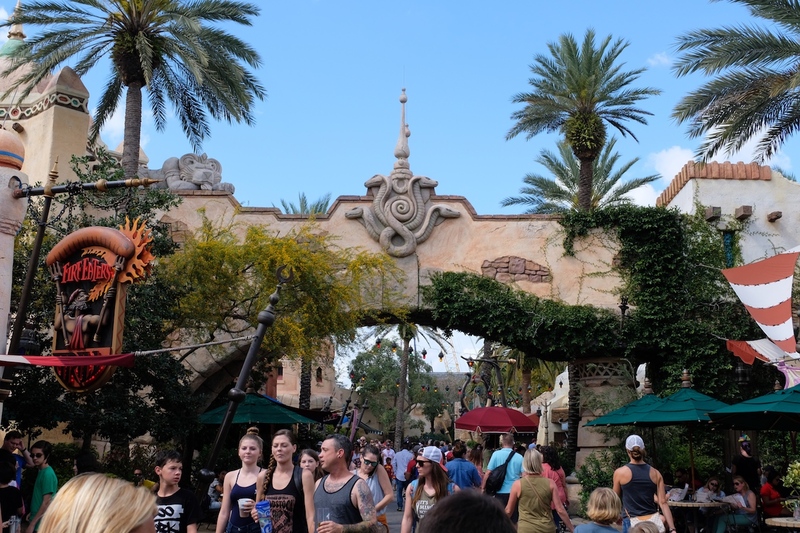 This section of the park is an absolute wonder with every area and corner beautifully designed, taking inspiration from the movie by the same name and Sinbad’s adventures. 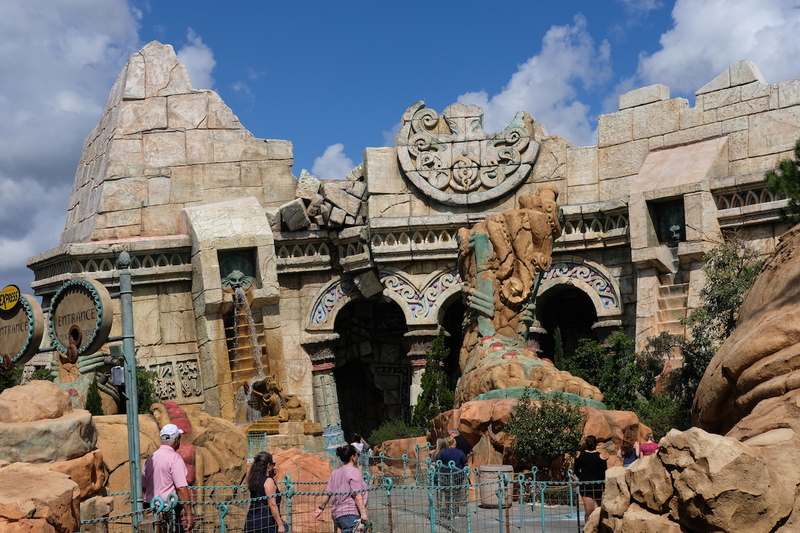 Herein, the attraction you must not miss is Poseidon’s fury, which showcases wondrous special effects through a series of standing-only rooms. I won’t ruin it for you, but you begin in a small room that won’t necessarily stun at first; but by the end of it all, you’ll be in awe at how they perfectly exhibited the special effects in one go. 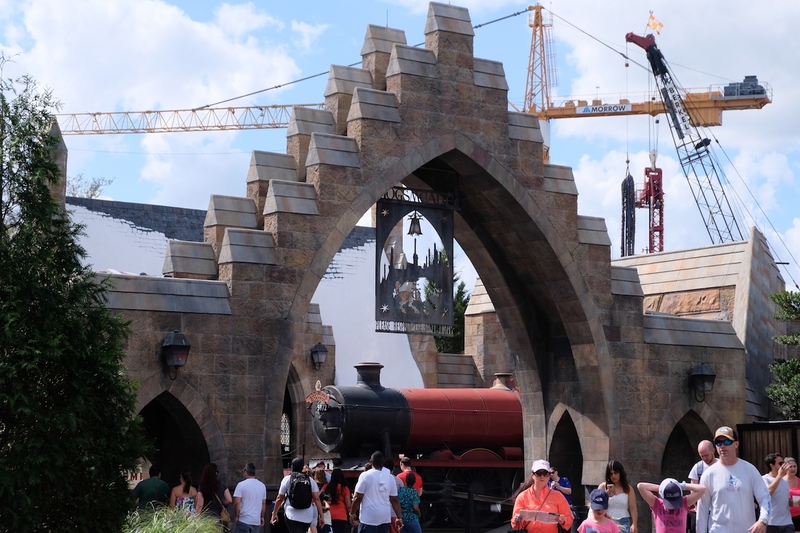 The real star of Universal Orlando might have the to be The Wizarding World of Harry Potter, which is a dream come true for every Harry Potter fan, and possibly, even the non-fans. 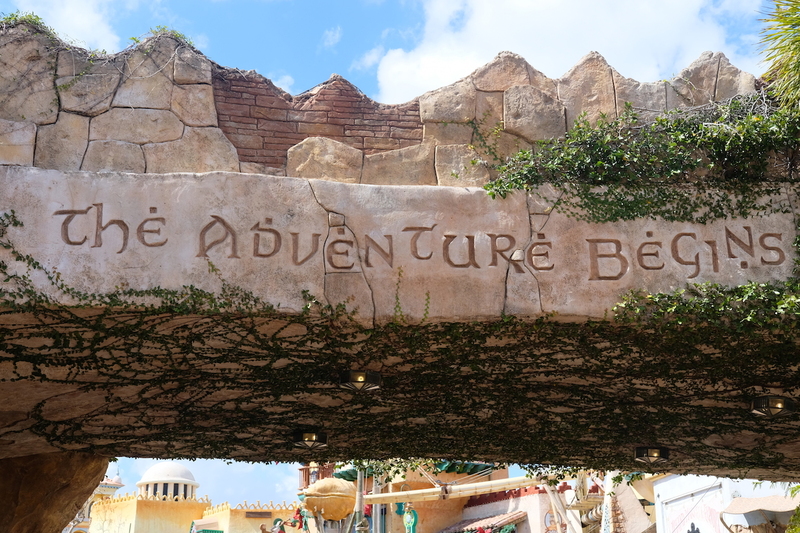 Intrinsically and fantastically designed, the rides and attractions are all must-dos too! 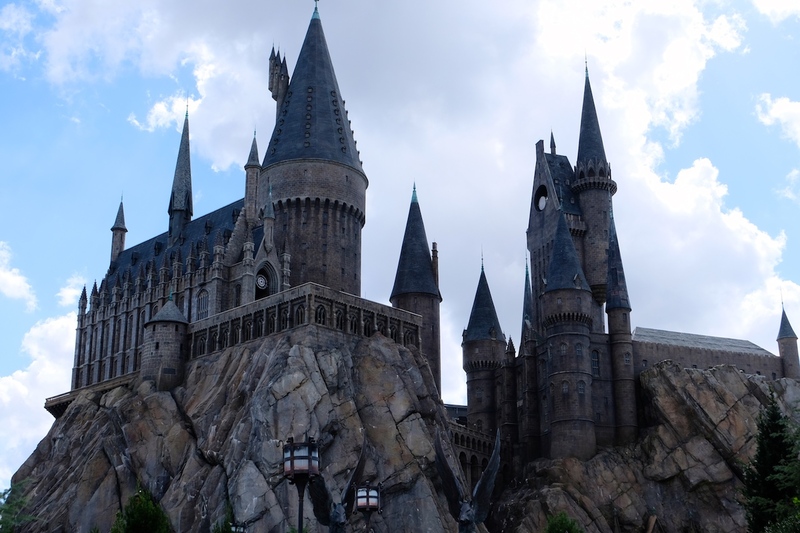 Situated inside the Hogwarts structure is the thrilling and exciting 3D indoor roller coaster ride by the name of Harry Potter and the Forbidden Journey. Lines can get really long, so this is one of the places where our Unlimited Express Pass came in real handy, as the regular waiting time was pegged at 60 minutes! Note that if you’re wearing loose shoes (like ballet flats or slip-ons), be sure to take them off and secure them. The crew told me my flats wouldn’t be problem, and that I should keep them on, but I knew they were pretty loose, so I decided to quickly take them off and hide them behind my back tucked between me and the coaster seat. Had I not done that, I surely would’ve lost my shoes! Nevertheless, the ride was absolutely enjoyable from start to finish. 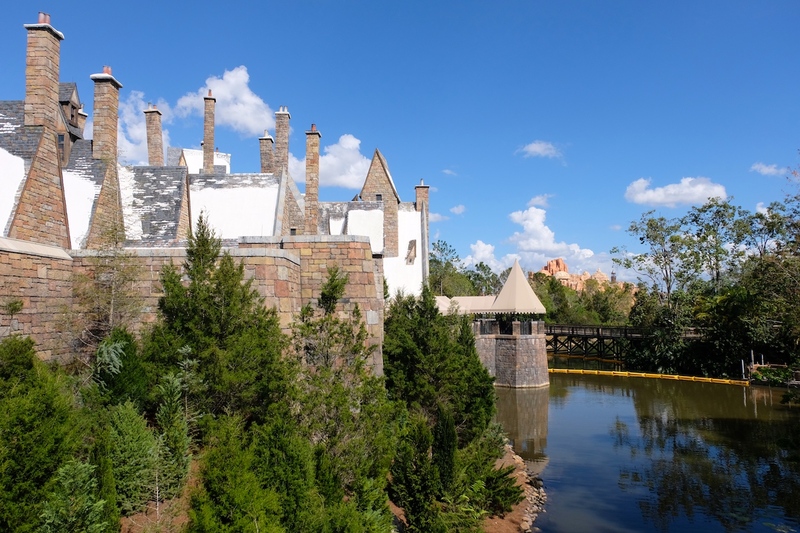 Unlike the Forbidden Journey, the Flight of the Hippogriff is an outdoor roller coaster ride that is thrilling yet relaxing at the same time – yet another must-do when in the park. Wait time is a tad bit shorter than the previous ride, but the Unlimited Express Pass still definitely comes in handy! 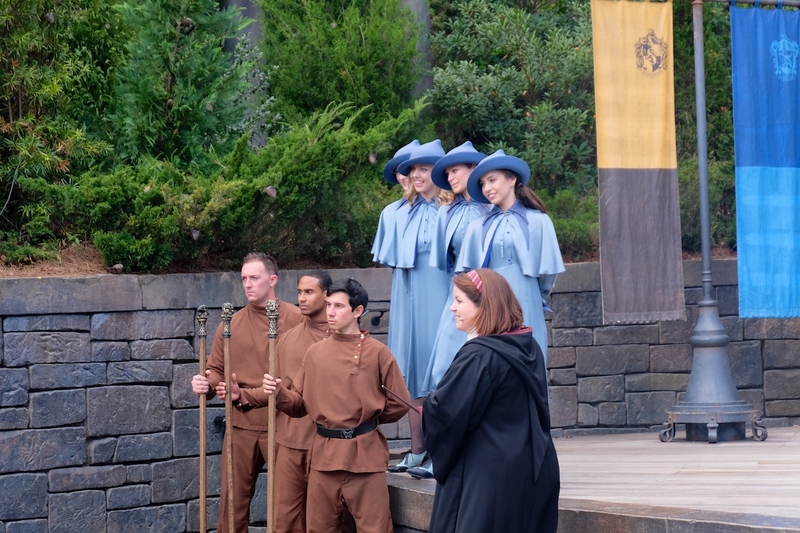 This show right in front of the Hogwarts structure is yet another great must-see while in Islands of Adventure. They perform in an open space, which means you don’t need to go through any lines for this. 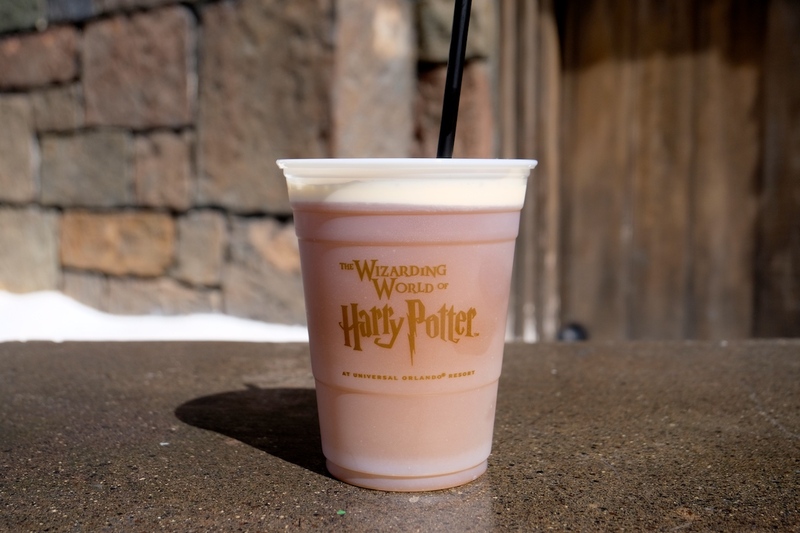 Like I said, everything about The Wizarding World of Harry Potter is a wonder to see, most especially Hogsmeade, where you can get Harry Potter-themed candies, purchase wands and other merchandise from the film series, and my favorite: drink Butterbeer! *Park-to-Park admission ticket or Annual Pass required. 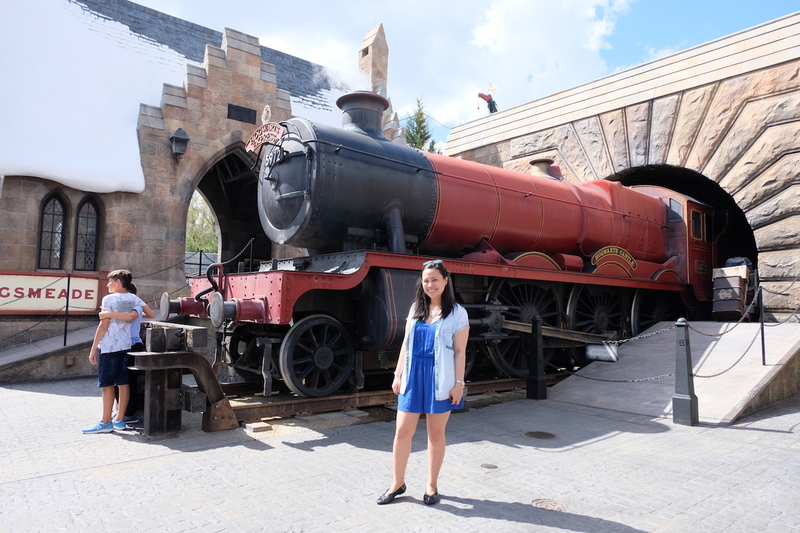 The Hogwarts Express is the link between the Universal Studios and Islands of Adventure, so it requires you to have the two-park ticket, which we didn’t, so we didn’t get to try this; but if you have the two-park ticket, I suggest you don’t miss-out on this experience! The newest addition to the park had the longest regular line waiting time: 90 minutes. And even with Unlimited Express Passes, we ended up waiting for nearly half an hour. This 3D indoor thrill ride is yet another one for the books; let me put it this way: you’ll surely feel you’re in the midst of a Kong movie that’ll leave you astounded by the end of it all. 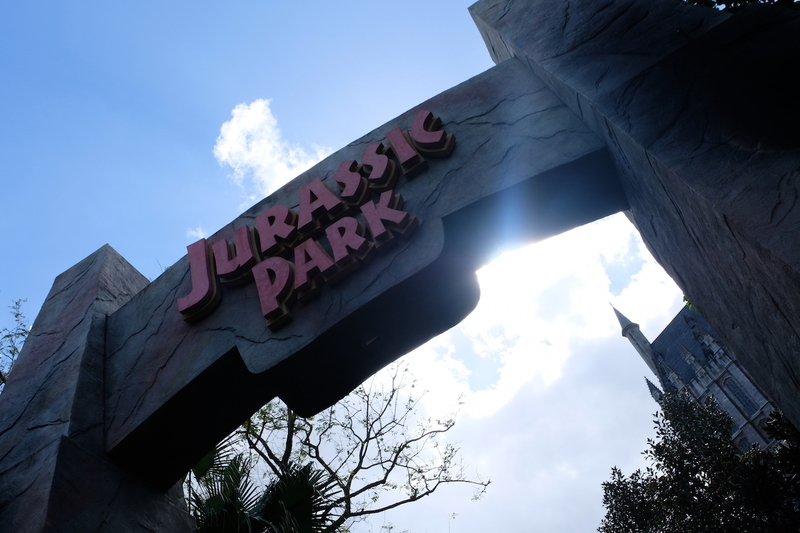 Among the three Universal parks I’ve visited, the Jurassic Park section remains to be my favorite area – most likely because this is a film series I grew up with. 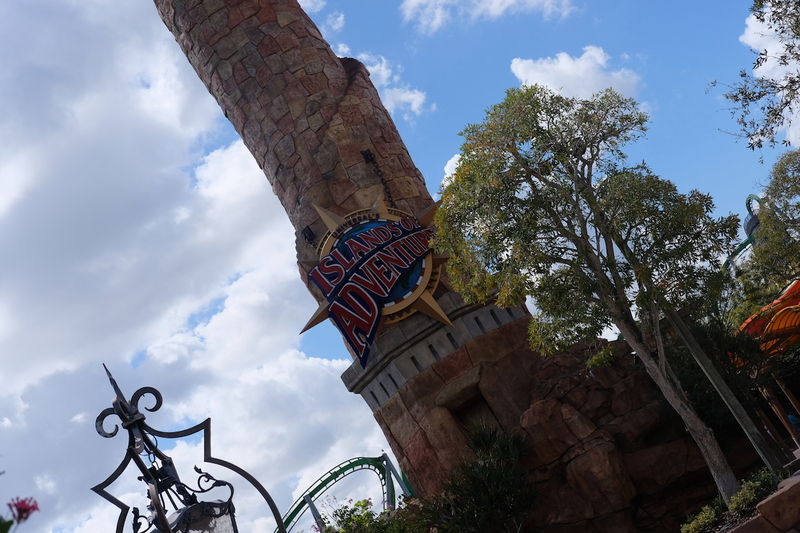 As aforementioned, his was one of the deciding factors as to why we chose Islands of Adventure over Universal Studios, together with Hogwarts and Marvel Super Hero Island. The Jurassic Park Discovery Center in Islands of Adventures is patterned after what was seen in the movie, and serves as a retail and dining area in the park. 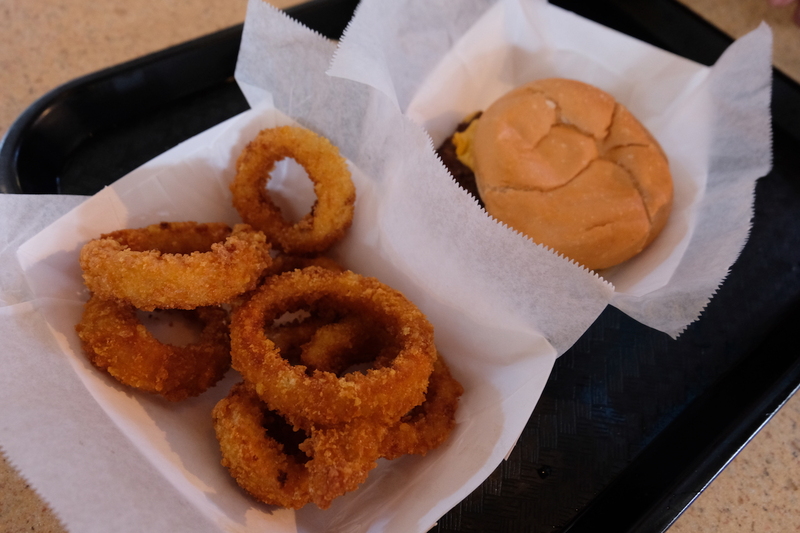 It’s a great place to grab some snacks before heading onwards to the main attraction of this area. Being one of the main highlights of each of my visits to a Universal Park, every Jurassic Park ride has given me the thrill of a lifetime. We enjoyed this ride so much that we did it thrice! Once again, this is where our Unlimited Express Pass was definitely useful, as we bypassed the long lines each time! If you ride this though, get ready to be soaking wet. We saw some people wearing raincoats, but since we didn’t have any, and refused to pay extra for it (being the cheap people we are – lol), I realized it was part of this great experience to get drenched by this ride. 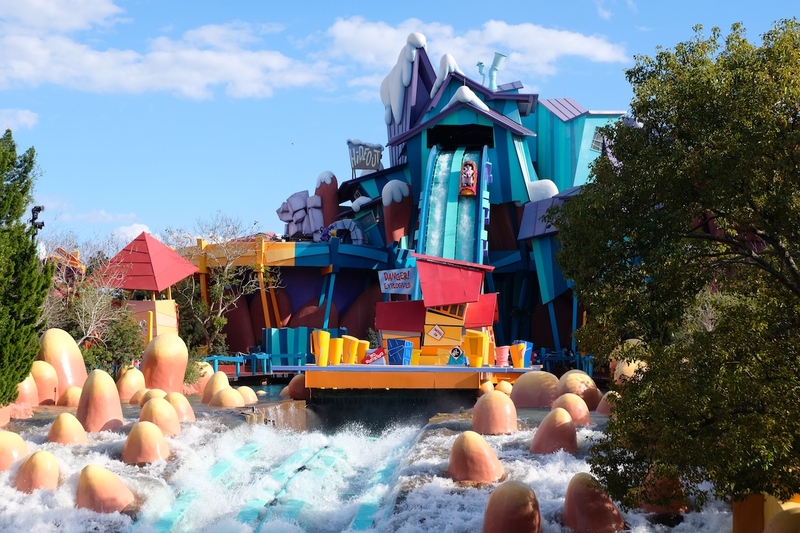 Yet another water ride that is also incredibly thrilling is Dudley Do-Right’s Ripsaw Falls. The lines weren’t too long for this ride, but of course, we still utilized our Unlimited Express Pass, enjoying it by riding this attraction twice. And again, it’s a ride that’ll leave you soaking wet! 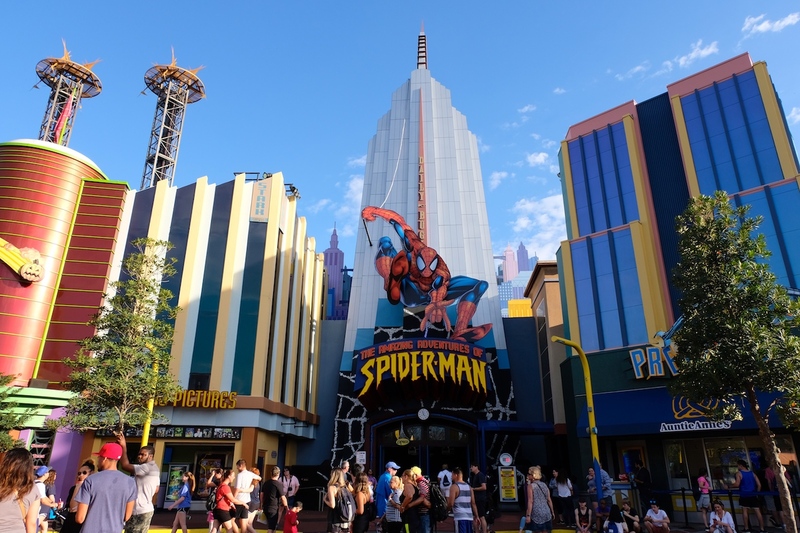 In a nutshell: everything on the Marvel Super Hero Island is a must-do / must-see, but here are my top three rides & attractions that you must never ever, ever miss-out on when in Islands of Adventure. This indoor 3D ride of your life will make you feel like you’re in the movie itself! 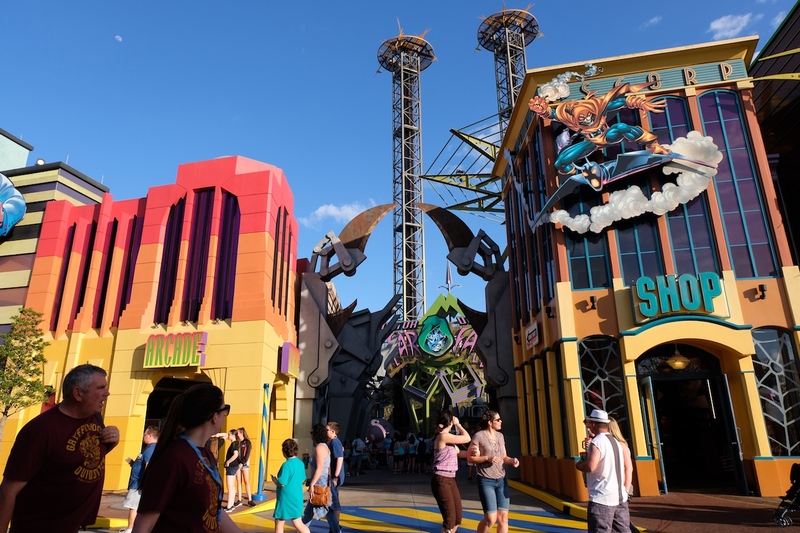 Tucked by one of the corners of an alley in the Marvel area is the entrance to this ride, which swiftly takes you up, seeing Orlando high above the sky, and slowly drops you down. We loved it so much, we did this twice! Most probably the most thrilling ride in Islands of Adventure, with several loops that’ll leave you queasy if you had motion sickness, is the Incredible Hulk Coaster. Since I’m one of the lucky ones who can ride twisting and turning coasters and won’t feel a thing, I enjoyed every bit of this! Since this is a rather popular attraction, wait time can go up to 60 minutes – so again, this is yet another reason to get the Unlimited Express Pass. 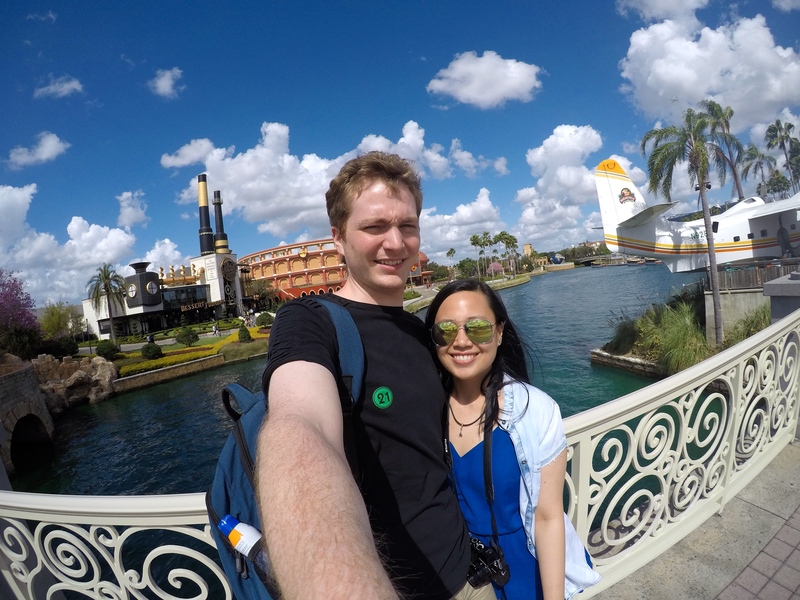 To end our adventure, we found ourselves back in Seuss Landing. 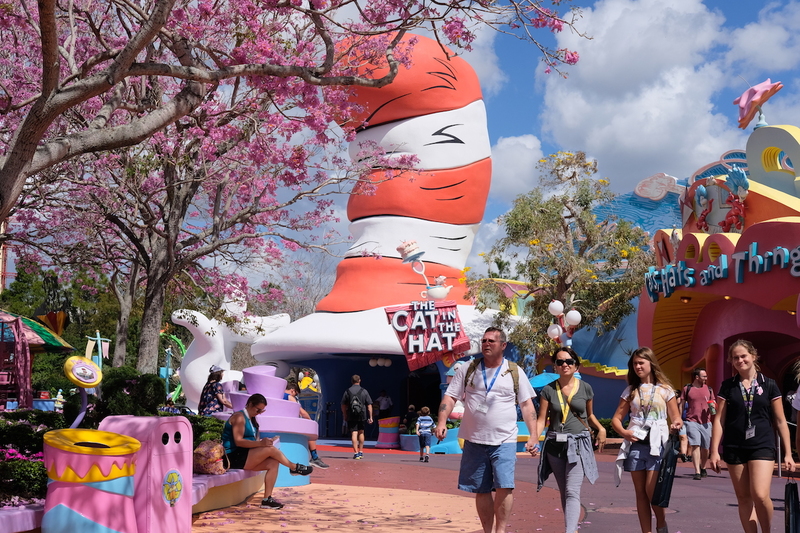 Created based on the illustrations of its namesake – Dr. Seuss, this brightly-colored portion of the park is a feast for the eyes. Note that the following photos were taken earlier in the day, explaining to gorgeous lighting. 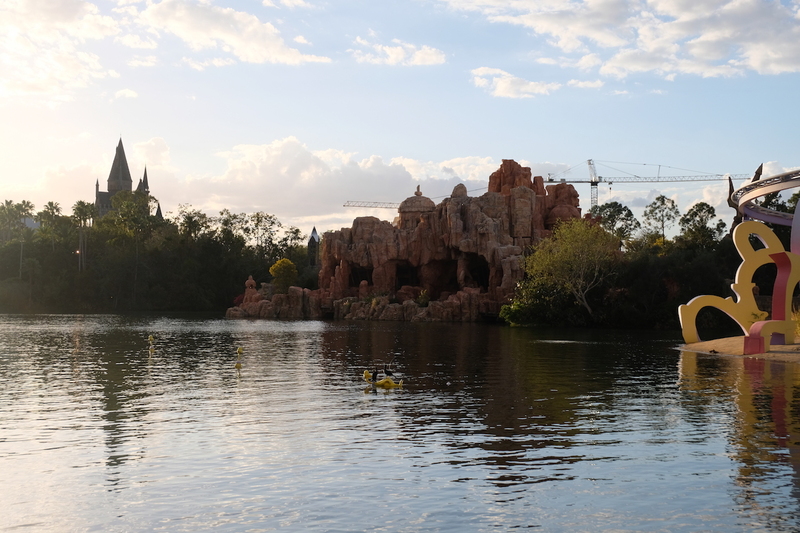 Upon returning to Seuss Landing at sunset, however, was when we decided to ride one last attraction for the road. It’s a ride for kids, as it simply takes you through its route with no thrilling turns or loops, and it being in rather slow to moderate speed, yet it was a great way to relax after a full day of thrilling rides. 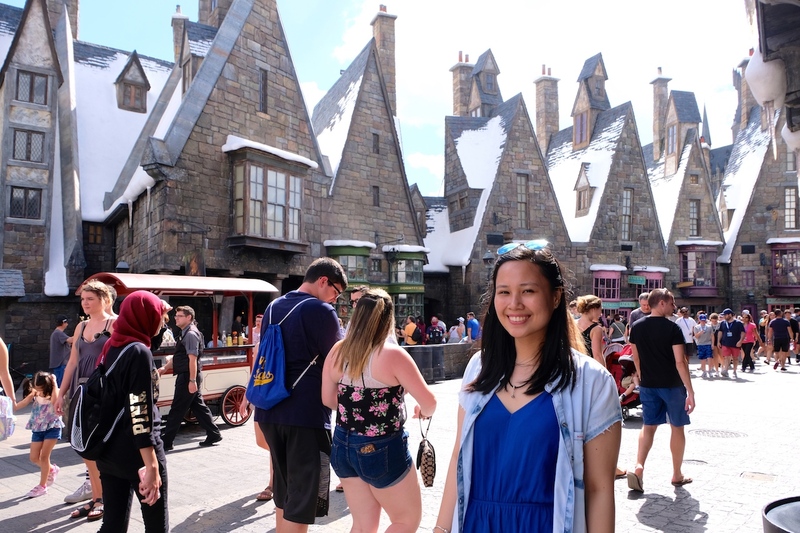 Now, it is no wonder that Universal Orlando – Islands of Adventure has been deemed as the best park in the world; and I am beyond ecstatic to have experienced it firsthand, leaving me wanting to go back in the very near future. 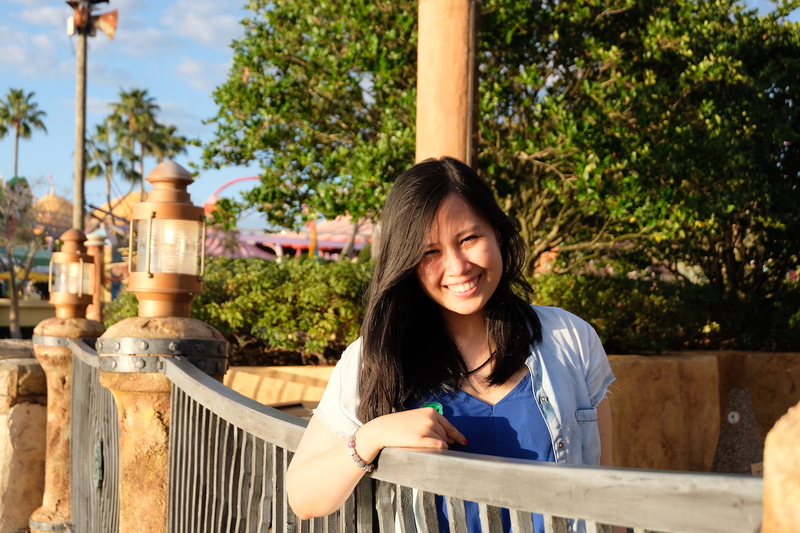 I surely enjoyed every single nook and cranny of Islands of Adventure, and will surely return in a heartbeat. 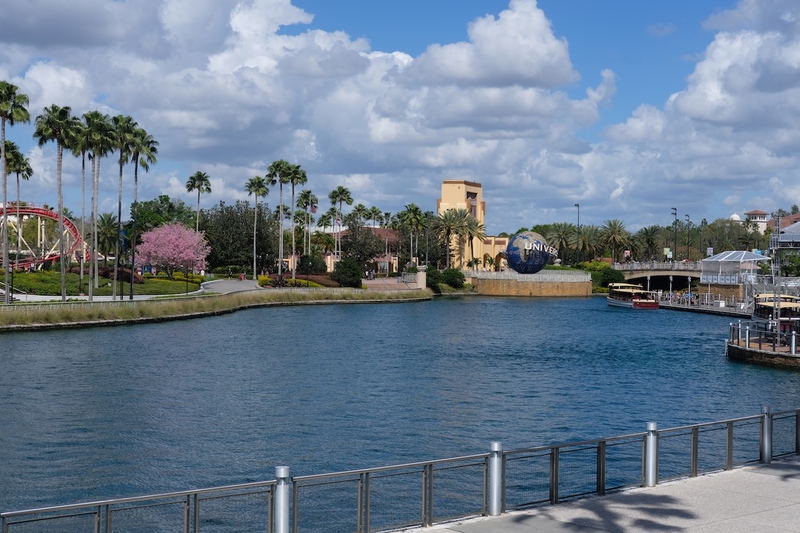 To summarize, if you’re headed to Orlando, you definitely won’t go wrong with one or two of the Universal parks. 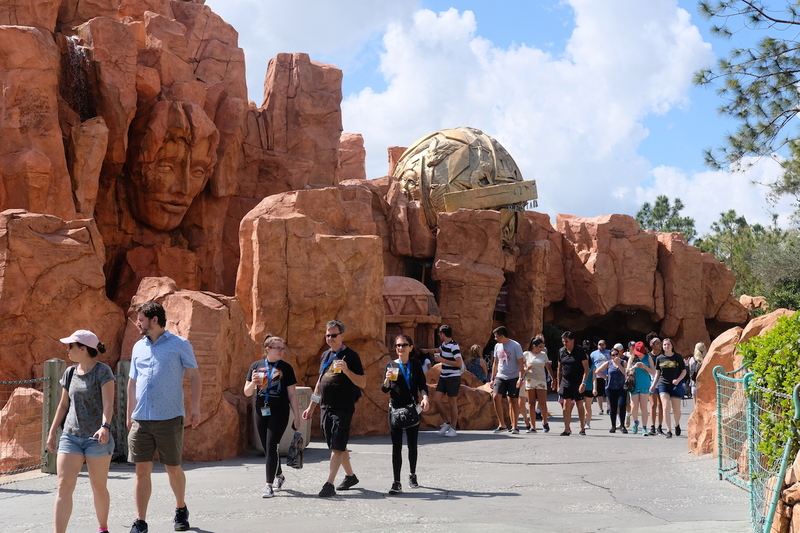 And if you want that extra special experience, do get the Unlimited Express Pass that’ll have you swiftly bypassing the long lines, ensuring you make the most out of your day in Islands of Adventure – like we did!